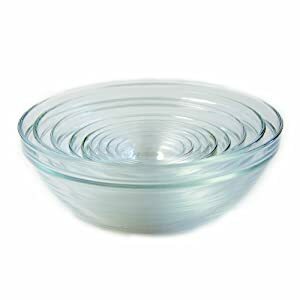 I have these exact glass nesting bowls and use them all of the time. I think they're a must have if you cook and bake. There are so many of them, that you can easily find the size you need, and you have more for those projects that require multiple bowls. Baking is notorious for these type instructions, "Mix dry ingredients in one bowl. Beat eggs and wet ingredients in another bowl." These bowls will let you do all of that and still have extra to spare.